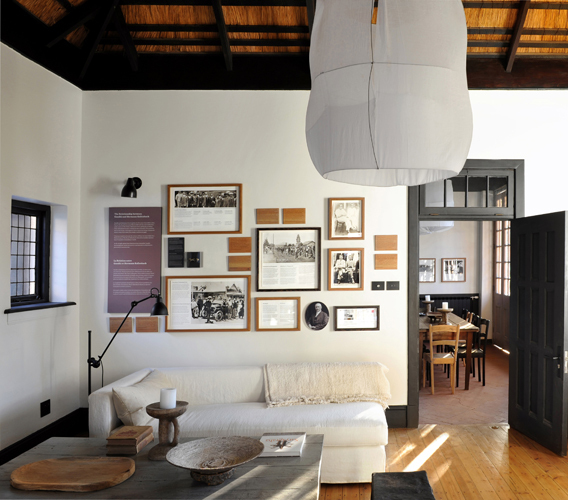 Far from a traditional museum, the museum of the Satyagraha house is first and foremost a living space. 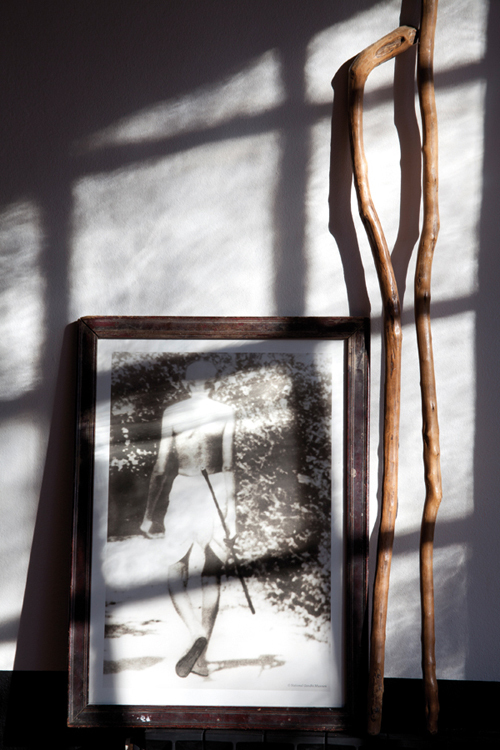 The exhibit unravels throughout the shared rooms of the house: the rondavels, the living room, the dining room, all retrace the time Gandhi spent in Johannesburg and in this house with Kallenbach. Managed by Lauren Segal, the curator of the Apartheid Museum, Constitution Hill and the Worker’s Museum, this innovative museum is free for visitors and guests of the house. It boasts a beautiful collection of old photos and correspondence between Gandhi and Kallenbach, evoking their daily life in the kraal. You’ll also find the journals of many other people that were a part of Gandhi’s life at the time. Lastly, the Mahatma’s most evocative quotes are on display large cotton draperies and wooden plaques. All of the houses furniture and objects are antique from India, found in Gujarat, Gandhi’s native region. 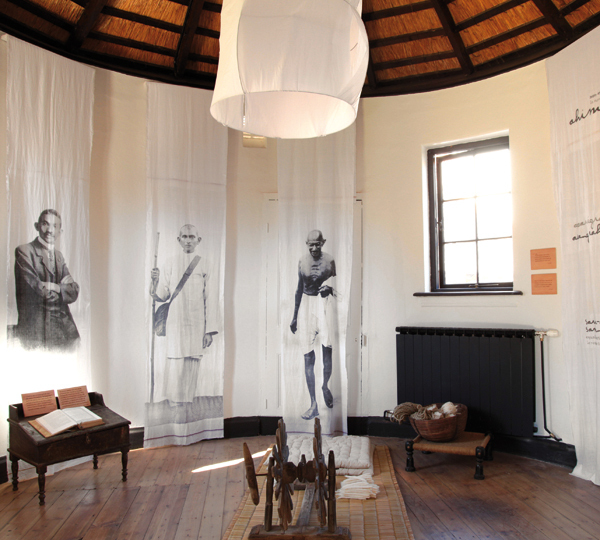 Desks and charkha, a tool used to make fabric, bring guests into Gandhi’s South African world. The close collaboration between Loren Segall’s team and that of the designers Christine Puech and Amit Zadok blurs the line between museum and living space, allowing travellers to feel Gandhi’s presence and live a true spiritual experience.